Welcome to the IRB Homepage. Please note that the news bulletin posted here is always the most recent, but there are more news items on the News page that may be important to you. A new version of the continuing review form has been released on the IRB website. The guidance regarding continuing review requirements has been fully updated. Please see How to Submit: Continuing Review. Teams are encouraged to start using the new form as soon as possible. USE OF THE NEW FORM WILL BE REQUIRED AFTER JUNE 3, 2019. THE IRB WILL CHECK THE CREATION DATE OF YOUR SUBMISSION. IF THE CREATION DATE IS JUNE 3, 2019 OR LATER AND DOES NOT ALIGN WITH THE NEW FORM, YOUR SUBMISSION WILL BE RETURNED FOR REVISION. Additional options for reporting enrollment status. Change to enrollment reporting within the CR form. Removal of requirement for monitoring summaries. A new question has been added regarding investigational agents. Removal of the requirement to describe DSMB or similar safety monitoring plans. Reports must still be submitted. A new question has been added related to new information that would alter the IRB determination that risks to subjects continue to be minimized and reasonable. All study teams conducting research which still requires continuing review should carefully review the Continuing Review form in its entirety as well as all the continuing review guidance currently posted on the IRB website How to Submit: Continuing Review prior to submitting with the new form. The guidance elaborates on the bulleted list of changes above via a tracked copy of the form itself with comments related to the changes. The website guidance also provides great detail about Deviation and Adverse event recording and reporting. Please contact the IRB for help in advance of submitting if anything is unclear for your particular study. The Continuing Review forms and guidance for studies where Penn serves as the IRB of record for multiple sites are still under revision. Study teams serving as point of contact for multiple sites under Penn IRB review should continue to use the Central IRB and Relying Site Supplement forms currently posted on the website. An update will be released once those updated forms and guidance are finalized. A new Deviation report form has been released on the IRB website. Teams must begin using the new form as soon as possible when reporting individual deviations that meet separate IRB reporting criteria. The revisions to the form are mainly clarifications to reporting criteria and information that the IRB needs to appropriately make noncompliance assessments. In alignment with the release of this new form and the continuing review form, the guidance on the IRB website for major and minor deviations has been updated. Please carefully review the form and the guidance available under How to Submit: Deviations prior to submitting. Throughout the spring of 2019, the Penn IRB will be offering a variety of educational opportunities for Penn faculty, staff and students engaged or interested in Human Research. Please either download the complete flyer (includes registration links) or visit our Classes and Education Page for more information about how to register. Don’t see any courses that work for you? Please feel free to set up a personalized session for your department as well to cover any additional topics pertinent to your research that you’d like to learn about! 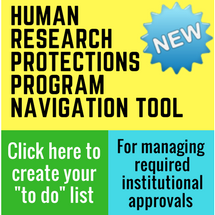 The IRB, at no additional cost, will send a reviewer to your department and present or discuss any further information you need to complete your applications or conduct your research. If interested, please contact Megan Bogia (at mbogia@upenn.edu) to schedule a session. Throughout 2019, a variety of seminars will be hosted by the Penn Department of Medical Ethics and Health Policy. The goal of this series are to provide a forum to discuss emerging issues in research ethics and policy with experts and trainees, and to facilitate connections between those working in research ethics across Penn and CHOP. All seminars will be held the first Monday of the month. Location: Austrian Auditorium - Clinical Research Building- 415 Curie Blvd.